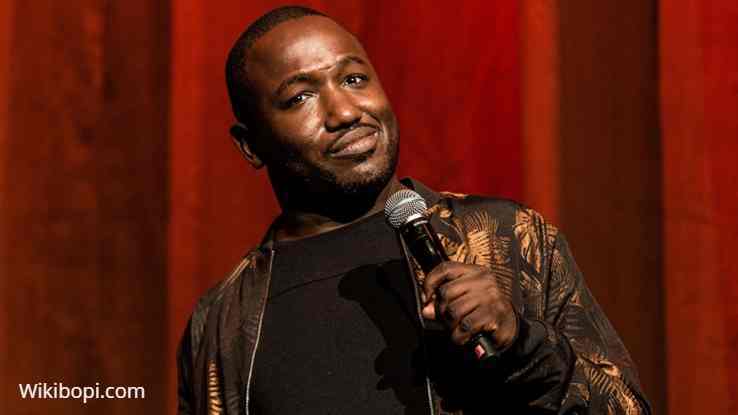 Hannibal Buress Bio, Net Worth, Girlfriend or Wife, Why Was He Arrested? Home Media Personalities Hannibal Buress Bio, Net Worth, Girlfriend or Wife, Why Was He Arrested? Making people laugh when they are tense or not in the mood is a tough order and to ply the trade, it must indeed take some guts and expertise, this is what the humor maker, Hannibal Buress has been able to achieve and sustain after his inital teething process. The African-American is a screen writer, stand-up comedian, actor and producer whose fame esclated when he started writing for NBC’s ’30 Rock’ and in 2014 when started appearing in the American Sitcom ‘Broad City’. His efforts in the competitive industry has aso been recognized, with his works nominated and awarded over the years. The ‘Broad City’ Star was born Hannibal Amir Buress in Chicago, Illinois on February 4 1983 to African American parents Margaret and John Buress Hannibal. His mother was a teacher while his father worked in Union Pacific Railroad. He grew up with an older sister in the West side of Austin Chicago. Hannibal Buress attended Steinmetz College Prep School and was later admitted to Southern Illinois University, Carbondale though, he never got around to finishing his education. The fun and comic nature of the star, showed whilst he was at the college and he did not hesitant to mine the trade from there on. By 2009, Hannibal Buress launched fully into the comedy circle and though the initial ride was a bumpy one, he was able to release his first body of work titled ‘My Name is Hannibal’ on July 27 2010. It signalled the turn of events for him as he also got a writing slot in the popular NBC sitcom, ‘SNL’ and ’30 Rock’ in the same 2010 but stayed for half of the year with NBC before he quit. The comedian went on to drop his second work ‘Animal Furnace’ in 2012 which earned him massive positive reviews and the album featured as a special in the Comedy Central ‘Broadway City’. Basking in his new found fame, he got himself weekly stand-up comedy slots in Knitting Factory in Brooklyn, and also made appearances in famous shows like the Jimmy Gaffigan, Jimmy Kimmel, Jimmy Fallon, Late Show With David Letterman and Conan among others. 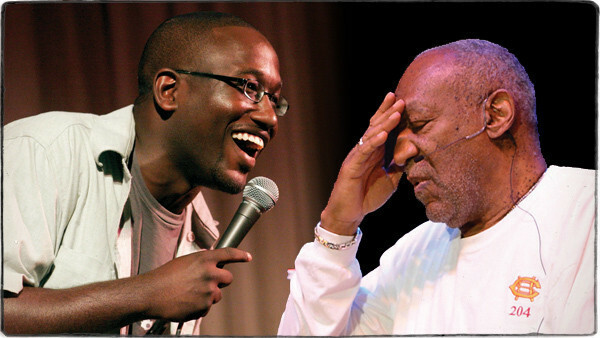 He got himself into a controversial position in 2014 when he called out Bill Cosby in his routine stand-up comedy shows, for his sexual escapades. His comments caused a stir online and resurrected the case which led to the investigation that brought about his trial and sentencing to jail. The satirical comedian has also honed his skills with appearances in over 20 films and television series, some of which are the Neighbors (2014 and 2016), Daddy’s Home (2015), Spider-Man: Home Coming (2017). He equally did a voice over for Angry Birds and Secret Life of Pets. Currently, the red-hot celebrity still features as Lincoln in Comedy Central’s ‘Broad City’ and co-hostds/produces the Eric Andre Show titled ‘Adult Swim’ which is aired on the Carton network in the late nights. He is billed to appear in the sequel of the Secret Life of Pets as Buddy, the film will be released in 2019. The 5 ft 10 inches tall comedian has been recognized for his works, haven been nominated for some awards. A few of some he won are the ‘Chicago Funniest’, for his work on expository ‘Stand-up routine’ in 2007, The American Comedy award in 2012 and Best Talk show Host award in 2014. The award winning comedian and actor has done pretty well for himself through his 5 stand-up comedy album releases, shows, and several appearances in films which have increased his money worth to a net worth estimated to be $2 million by celebrity net worth. The actor and screenwrtiter is quite tight lipped when it comes to his love/relationship life and he is a very private person in those areas. Thus he has successively kept that part of himself off the media. Nothing is known about any girlfriend or wife anywhere so far. We sure will keep our ears to the ground and if we get a wind of it, be sure we will also serve you with the steamy gist. Hannibal Buress is probably single as of now. The famous African-American Comedian got himself into a not so pretty situation after he had much to drink at the Contemporary-art fair event in Basel, Miami. A bodycam video showed him cuffed and stuffed into a Police patrol car on Sunday December 9 2017 at the hour of 2 AM, by Miami Patrol Officer Luis Verne. He allegedly requested that the Officer help get him an Uber ride home as he was visibly tipsy, a request the Officer declined which sparked off an angry outburst from the comedian eventually leading to a confrontation between the Comedian and Officer. His was charged with disorderly intoxication at the Miami Dade County Jail, for which a bond of $500 was set up for him and was posted the same night, before he regained his freedom by 6 A.M that same Sunday Morning. Luckily for the comedian, the charges were dropped in February 2018, after his attorney argued that he had the right to have asked for an Uber ride from an Officer in line with the first Amendment law of the State of Florida.